"More sweat in training, less blood in battle"
What if all girls ran in one race! What if all boys ran in one race! Peter Guerrini helped with the compilation of the following lists. Courtesy of Miramonte XC website. Just as in many other sections, Division I doesn't always yield the most powerful teams or deepest competition. The majority of the teams usually fall in either Division II or III unless you are one of the many SS Division I teams. NCS Division I might not be the deepest division but the top teams can compete favorably with any of the stellar teams in the other divisions. It appears that College Park will be the team to beat in both boys and girls. After longtime coach, Chuck Woolridge, moved to rival Campolindo during the summer, CP still has the culture of winning that has been in place there for many years. They have run very well in league and at Stanford and continued their fine running at the Castro Valley Invitational. Without the presence of three time defending champion De La Salle which got bumped down to Division II, the road to the state meet opens up a bit. CP's closest pursuer will be Deer Valley which finished 5th behind the Falcons' victory at Stanford. They will be lead by senior Anthony Palermini although their top returner from last year is senior James Avery. The last state meet birth could come down to a trio of teams that will hope to peak at Hayward. Those three teams will be Liberty, Castro Valley and San Ramon Valley. Liberty got the best of Castro Valley on CV's "home" course so they appear to have the upper hand at this point. The boy's individual favorite will be Andy Peabody of College Park. He's the fastest returner from last year's championship meet as well as a state meet qualifier in the 3200 meters on the Track. The race will be for second among the following runners: James Fazzio of Castro Valley, Doug Whichard of Granada, and the much improved Bhavik Kanzaria of Monte Vista and Pallermini of DV. Liberty's sophomore Wyatt Landrum should be in the mix come November and keep on eye out for junior Jeremy Rubio of College Park who is CP's #2 man behind Peabody. On the girl's side in this division, it's top two or stay at home during Thanksgiving. With College Park appearing to be the favorite for the 1st place, the 2nd. 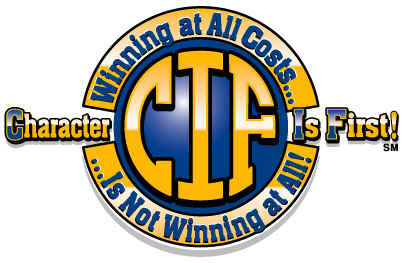 state meet qualifier will come down to a battle between California H.S. and Castro Valley. CV upended Cal High at their invitational and gave CP quite a scare but SAT Saturday leaves many teams just shy of their top lineup. The girls individual title will go through Diana George of Livermore who handily won the title last year as a freshman. She is currently nursing an injury so that might open the door for the next freshman phenom, Alycia Cridebring of College Park. She finished a strong 2nd. at Stanford as well as another 2nd. place finish to Jacque Taylor at the Castro Valley Invitational. Yet another freshman, California's Colleen Lillig could also be in the mix if any of the top runners falter. 1) College Park-Peabody will be favorite for individual crown. 2) Liberty-Strong 2nd at Castro Valley Invite. 3) Deer Valley-Could be sleeper this year. 4) Castro Valley-Run well when it counts. 5) San Ramon Valley-Returns top 7 runners. 1) College Park-The cupboard is definitely not bare. 2) Castro Valley-Historically strong program. 3) California H.S.-Strong up front with star freshman. 4) San Ramon Valley-One of best combined programs. 5) Deer Valley-Strong upside with Hodges. Colleen Lillig (9) California H.S. Feel free to comment on the above rankings. The next rankings will be at NCS. Any helpful information would be appreciated. Trying to figure out the top teams in each division can be very difficult but when it comes to Divison II, there are two teams that stand above the rest. Petaluma will be the team to beat in the boys while Carandolet seems to be the lock of the meet when it comes to NCS time for the girls. Both teams are young and talented and their best running seems to lay ahead of them considering their youth. Petaluma has the opportunity to claim their first section championship since 1978 as they return the best team in this division. With Maria Carrillo moving down to Division III, it appears that many fans will miss out on a great team battle in Hayward. How close are those two teams? In a head to head battle with Maria Carrillo, Petaluma defeated them 28-33 and at Stanford in different races, Petaluma had a team average of 16:37 and team time of 83:01 while Maria Carrillo recorded a team average of 16:37 (sound familiar?) and team time of 83:02! The battle here will be for second and it seems to be a tight battle between Montgomery, Eureka and making a return to Divison II will be De La Salle. The individual battle will go through Blake McDowell of Santa Rosa who has established himself as the runner to beat in this division with some fine running in the big races including a victory at Stanford. Sterling Lockert and Brandon Felipe bested McDowell in league meet so don't count them out. In what should be a great individual battle, Nicole Hood of Carandolet and Jacque Taylor of Casa Grande will start what appears to be a great rivalry that we will get to watch for the next four years. Carandolet could finish with four in the top 10 with Ashley Chan of Arroyo somewhere in the mix of that group. 1) Petaluma-Four freshmen on their varsity last year. 2) Montgomery-Everybody is back from 4th place finish last year. 3) Eureka-Watch out for them. 4) De La Salle-Success in past puts them here. 5) Santa Rosa-Returns 5 out top 7 runners. 1) Carondelet-Top team in NCS. 2) Arroyo-Ashley Chan leads the way. 3) Alameda-Not a stranger to Woodward Park. 4) Santa Rosa-Can break into top 3. 5) Montgomery Toss up with Santa Rosa. Feel free to comment on the above rankings. Division I is on the way. What the Bay Area Conference is to Division V, the DFAL is to Division III. The winning teams and state meet qualifiers usually come from the who’s who in the DFAL. This year a familiar foe returns to the Division III battles as Maria Carrillo drops down from Division II. MC definitely has the runners to compete with anybody in this division in both races. Dan Aldridge made a name for himself as an outstanding runner and now is in charge of one of the best combined programs in NCS. The boys' division winners will have to go through Acalanes once again this year. They return the most ammunition from last year's 2nd place finisher but that does not always lead to an NCS title. At this point they are ranked 2nd in state and first in NCS based on their performance from last year and their impressive run in the DFAL this year. Time will tell whether they deserve their #1 ranking here. The top individual in this division has been Joey Kochlacs of Campolindo who has proved himself against many of the top runners in the state. James Attarian of Dublin finished a close 4th behind Kochlacs' 3rd place finish at Stanford. Acalanes teammates Nate Beach and Connor Mooney will challenge for the individual crown. Greg Drosky of Las Lomas claimed 1st place at Clovis and should be not be forgotten. Maria Carrillo's girls seem to be the team to beat at this point after defeating Campolindo in a head to head battle at Stanford. Las Lomas has impressed early with a very young and talented team. Close behind those three teams will be Miramonte who won the Lowell Invitational and have been known to peak well come November. Las Lomas got the upper hand over Miramonte as the Matadors will now have to regroup without their injured #1 runner. Should make for a very exciting and competitive race. With Alexi Pappas of Bishop O'Dowd not running this year and with Miramonte's Elaine Tansky's season apparently over, the early favorite for the girls is Laurie Finnegan of Campolindo after her impressive run at Stanford. She will battle with Jenny Bergren from Miramonte as well as senior Kristen Sanzari of Maria Carrillo. Watch out for Campolindo's Murrillo at the end of year who always runs well comes championship time. 1) Acalanes-Top 4 return to win first crown. 2) Maria Carrillo-Deep, competitive team that could upset. 3) Campolindo-Kochlacs has been impressive early. 4) Las Lomas-Young talented team. 5) Bishop O’Dowd-In a battle to hold this spot. On the bubble: Miramonte, Redwood H.S. 1) Maria Carrillo-Ready to battle best of DFAL. 2) Campolindo-Return strongest lineup to defend crown. 3) Las LomasImpressive victory at Clovis. 4) Miramonte-Not to be overlooked in this division. 5) Bishop O’Dowd-Tough sledding without Pappas. Division II will will be posted shortly. Feel free to comment on above rankings. In day's past, teams would stay undercover until they ran in their league finals, section championship and then hopefully at state. That day has come and gone with the internet boom and the coverage from dyestatcal for California teams. With that in mind, we have some NCS Division IV teams who have managed to hide in the weeds which makes it tough to identify the top teams for ranking purposes. So that leaves me with the unenviable task of ranking Division IV teams for NCS but here goes. Looking at the top boys' teams, without question, the hottest team to date has been St. Mary's of Berkeley. They are lead by Matt Duffy who is coming into his own as a Junior. With an impressive victory at the Stanford Invitational, Duffy lead the Panthers to a 3rd place finish behind the 6th and 7th state ranked teams, Carmel and Oaks Christian. Who are the best teams behind St. Mary's of Berkeley? Piedmont has been the most consistent team in Division IV and they oh by the way won the state championship last year. Mark Ceraldi and Jesse Baldridge return giving the Highlanders a nice 1/2 punch. With a traditionally small field in the NCS Division IV final, Piedmont should have enough behind their top duo to make a return trip to state. The final state meet birth should come down to a battle between Sir Francis Drake, San Rafael, and Arcata. Looking at the Stanford and Lowell Invitational results, the difference between those four teams is minimal at best. It should be interesting what happens in the next month as teams gear up for the post season. The girls' division IV race should be quite interesting now that Arcata lost the majority of last year's NCS championship team. Before the season, it looked like Piedmont had the most returning firepower but at this point, they remain a mystery. So for now, San Rafael seems to be the team to beat with an impressive 6th place showing at Stanford. The individual battle has a new contender as Sarah Sumpter of Healdsburg who turned in an eye popping 19:05 at Stanford to finish in 6th place. This is not a surprise considering all her early season times which make her one of the most improved runners in NCS, if not the state. Kelsey Ripp of San Rafael, Allie Maher of Arcata and Lora Morchini of Salesian all recorded top 15 finishes at Stanford. Brittany Escamila of El Molino will find this division to her liking as she moves into this division from the ultra competitive Division III battles. 1) St. Mary's Berkeley-Best Div. IV team so far this season. 2) Piedmont-Can they put it together again this year? 3) San Rafael-Dave Buscho leads the way for the Bulldogs. 4) Sir Francis Drake-Will challenge for state meet birth. 5) Arcata-Deep, competitive team that could upset. 1) San Rafael-Looking for their 1st State Meet berth. 2) Arcata They know how to run well in November. 3) Moreau Catholic-Consistent top program. 4) El Molino H.S.-Senior Brittany Escamila leads the way. 5) Ursuline H.S.-They have made state 3 out of the last 4 years. Division III will be posted shortly. Feel free to comment on above rankings. Stanford is always a good middle of the season barometer for many teams come late September or early October. NCS Division V teams (namely BCL teams) flexed their collective muscles this year as they claimed the top 4 teams in the boys race, 5 out of the top 6 individuals in the girls race as well as a 2nd place finish for the Crystal Springs Uplands girls' team. Making a major statement at Stanford were the College Prep boys who handily defeated the 7 time defending NCS champions University HS by a score of 54 to 105. CPS is well on their way to their first NCS title with a deep and talented team. They will definitely be a player at the state meet with potential for a top 3 finish and a coveted podium appearance. While their 11th NCS title might elude them this year, the UHS boys will still be formidable. Without Parker Brown (injured? ), their 2nd place finish at Stanford puts them on track for another Fresno trip. The last two spots for the state meet will come down to a battle between Lick Wilmerding (nice tight pack), Berean Christian (rebuild nicely after graduation of the Todd twins) and Crystal Springs Uplands (not at full strength yet). This year's boys individual battle should be the most competitive in recent memory. Leading the way should be Brian Cole of St. Helena who has the best track credentials of all the runners competing in this division. Challenging closely will be Hank Carl of South Fork and Matt Katz of CPS who will keep the race honest with his fearless front running style. Victor Ho of Chinese Christian, Sean Faulk of CSU and Mark Friese of UHS will all be in contention and could possibly upset the previously mentioned runners. The dark horse in the race will be Troy Calandra of International HS who makes his triumphant return to the BCL and NCS battles after attended Head Royce as a freshman. Calandra ran an impressive 2nd at the Lowell Invitational as well as a 12th place finish in a very competitive Ram Invitational. The road to the girls' NCS title will once again go through CSU. After losing two seniors from last year's podium team, CSU still has the runners to compete with any Division V team in the state with potential for more as their freshmen round into form. Chasing CSU will be University and Marin Academy with their strong one-two punch of Alesandra Roger and Kimberly Volkman (currently injured?). UHS has yet to run their top 7 runners all together at a major meet so watch out for them come November. The last state meet birth should come down to a three way battle between College Prep (inspired by their boys? ), Convent (always in the mix) and Lick Wilmerding (could upset teams ahead of them at this point). Individually, Alesandra Roger and Andrea Imhoff will battle head to head multiple times this season and round 1 and 2 went to Roger as she defeated Imhoff in a cluster meet and by an impressive margin at Stanford. Behind those two will be the CSU duo of Maddie Rozwat and Alysha de Souza who both recorded top 5 finishes at Stanford. Berean Christian has their own duo with the Adamiec twins, Ruth and Marta. Convent's Michelle Gantos will be the closest pursuer following her impressive early season results. 1) College Prep-On their way to a season for the ages. 2) University-Can this group regroup for another NCS title? 3) Lick Wilmerding-Close pack from one through seven. 4) Berean Christian-Sophomores lead way for possible state meet birth. 5) Crystal Springs Uplands-Has the runners to break into top 4. 1) Crystal Springs Uplands-Can they return to podium this year? 2) University-Soundly defeated MA in cluster meet. 3) Marin Academy-Without Volkman upended UHS at Stanford. 4) College Prep-Close pack will have to battle for last state meet spot. 5) Convent-Senior Gantis has run well as lead runner. Do you want to win today? Looking at the boys' list, the top 3 teams have combined for 23 state championships. While McFarland and Nordhoff continue onward without the architects of those dominant programs (Jim White and Ken Reeves respectively), Jesuit's run of titles seems to have no end. Going into this year, the Jesuit boys enter the season as the favorites for the state Division II championship. Based on their past history, it's hard to count them out in their quest to tie McFarland's 9 state titles. While San Lorenzo Valley seems to be the most consistent team for the girls this decade with 3 titles and 2 second place finishes, it appears that several boys' teams are in the midst of their own dynasties. Joining Jesuit and Barstow with their 3 titles this decade, Royal appears to be a team destined for more success with 2 titles and 2 second place finishes in the past five years. Flintridge Prep's run of plaques could be the state's biggest WHOA! as the Rebels have collected a plaque for 9 consecutuve seasons (1997-2005). You can find a complete list of all the boys' podium teams here. Please keep in mind that Division IV was added to the State Meet in 1990 and Division V was added in 1996. The opportunity for plaques definitely increased for many teams with the additional divisions. Heres the breakdown of plaques. Morro Bay with 6 plaques. How close was Morro Bay to winning a state title? Flintridge Prep with 4 plaques. San Francisco University with 4 plaques. Belmont with a 3rd place finish in Division I during the 1997 season. I open to ideas for my next post. If you spot any errors or have any ideas, please let me know. 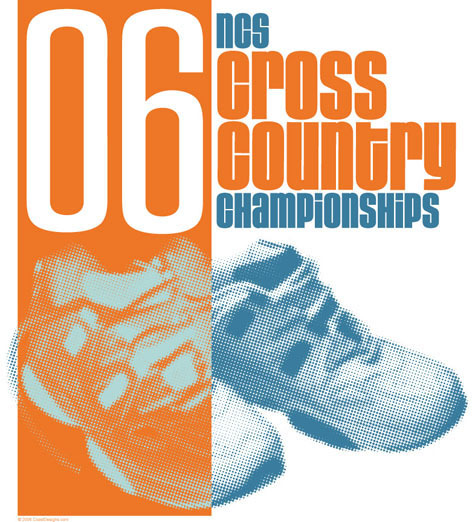 Each year, the CIF publishes a list of all the past XC Team and Individual Champions in their meet program. It's an impressive list that includes many of the powerhouse teams that have succeeded through the years at Woodward Park. The question is do you have to win a state championship to consider your season a success? I know many teams who have walked away from the state meet proud as can be for winning a 2nd or 3rd place plaque and many others who's season was a success for qualifying to the state meet. So to give a fuller picture of success at the state meet, I compiled a list, starting with the girls, of all the state podium teams dating back to the inception year of 1987. What girl's team has won the most plaques? What team has won the most plaques without winning a state championship? Who has won the most 2nd place plaques? 3rd place plaques? What section has done the best?...as if I have to ask. Yes, the Southern Section has had the most teams on the podium so what section is 2nd? To help answer those questions and more, you can find a complete list of all the podium teams here. Please keep in mind that Division IV was added to the State Meet in 1990 and Division V was added in 1996. The opportunity for plaques definitely increased for many teams with the additional divisions. If you are too impatient to look at that list, keep reading for the answers. San Francisco University with 10 plaques. Dana Hills with 5 plaques. San Francisco University and Woodbridge with 4 plaques. Dana Hills with 4 plaques. Qualifying to the state meet is difficult. Walking away with a plaque (no matter the place) is quite an accomplishment. I will post the boys' results tomorrow. If you spot any errors, please let me know. Division V was added to the XC State Meet in 1996 and no other girls' team has dominated NCS and State Meet competition like University HS. From 1996 to 2004, UHS won every NCS championship race and went on to the state meet to record 6 State Championships (1996-98, 2001-03) and 2 second place finishes (1999, 2000). The 6 state championships won by University are the most titles by any girl's team in any division. McFarland with 9 and Jesuit with 8 are the two leaders for the boys. The Crystal Springs Uplands girls defeated University at the NCS meet last year to break their string of 10 consecutive NCS championships (9 in Div. V and 1 in Div. IV). CSU then ran their best race of the season at the State Meet to record a 2nd place finish behind a very strong Mt. Shasta team. The Gryphons should be the NCS favorite this year returning 5 out of the top 7 along with a strong group of JV runners. Maddie Rozwat will lead the team coming off a very strong Track season recording 5:23.67 and 11:46.55 times. The teams that will be CSU's main pursuers are University and Lick Wilmerding. 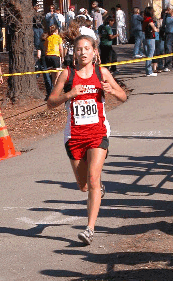 The UHS girls return their top 5 runners that includes the defending NCS champion, Andrea Imhof. 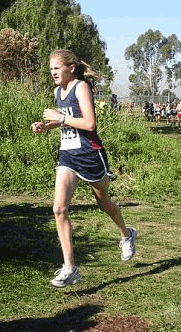 Her time of 18:17 on the Hayward Course was the 2nd fastest ever run by a Division V athlete (behind only 3 time state champion, Clara Horowitz of Head Royce) and tied for the 7th fastest time in all Divisions in 2005. Imhof also had a fine Track season qualifying for both the 800 and 1600 in the NCS Meet of Champions with fine 2:16.91 and 5:07.67 clockings. Lick Wilmerding will have a strong pack with loads of potential considering their top 4 were all freshman last year. Emma Smart should be the lead runner following a fine 5:33.15 during Track season. The battle for the 4th and final state meet qualifying spot should come down to Marin Academy and Berean Christian. Marin Academy will arguably have the best one-two punch (Alesandra Roger and Kimberly Volkman) of any teams in this division. Roger will once again battle with Andrea Imhof for the individual honors after winning the title in 2004. Roger seems primed for battle after recording an 11.22.10 for 3200 meters at the NCS MOC to finish in 7th place. She also secured her 3rd black shirt at the famed Dipsea race on June 11th. BC will be lead by seniors, Ruth and Marta Adamiec, who powered their team to the NCS Track Class A Team title with some very inspired racing. The University boys have enjoyed their own string of NCS victories and their streak is still alive at 7. That ties them with the Livermore team (1990-96 in Division III) for most consecutive victories in XC. Although they have had some close races in NCS before, this year could prove to be their biggest challenge. College Prep returns their full ensemble from last year and seem motivated to knock off the Red Devils. Matt Katz had a huge breakthrough in Track recording the following times: 800-2:02.0, 1600-4:32.51, and 3200-10:12.95. He will do battle with St. Helena's Brian Cole for individual honors. In what will be a very competitive team battle, the next two teams (Crystal Springs Uplands and Lick Wilmerding) also return strong teams that could challenge the top two. CSU will be lead by four year varsity member, senior Simon Neely and Sean Faulk, who qualified for state as an individual last season and enjoyed a successful track season running 2:01.80 for 800m. LW will have a very strong pack that could have a different lead runner at each of their races. Going into the season, it appears the above mentioned teams seem to be out of reach for the rest of the division but don't count out a young Head Royce team along with two time state meet qualifier, Santa Rosa Christian and their top runner, Zac Nave. 1) University-Can this group lead to another NCS title? 2) College Prep-Seems poised to break the UHS streak. 3) Crystal Springs Uplands-Tough senior group also hungry for title. 4) Lick Wilmerding-Nice close pack that will contend. 5) Head Royce-Chase Wilson will lead young group. 1) Crystal Springs Uplands-Senior Maddie Rozwat leads Gryphons. 2)University-Can topple CSU with some freshman help. 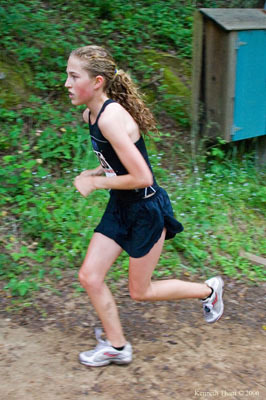 3)Lick Wilmerding-Emma Smart leads Tigers after nice Track season. 4)Marin AcademyRoger and Volkman need help to hold spot. 5) Berean Christian-Will have to battle to break into top 4. After scoring an impressive 33 points at last year's NCS Meet to win their 7th section title, the Piedmont H.S. boys lived up to their pre-season billing and won their 1st XC State Championship. Piedmont has quietly been one of the top XC programs ever since the debut of the State Championship at Woodward Park in 1987 with an impressive string of success in Fresno. From the inception of the state meet to 2005, Piedmont has recorded 7 Top Five Finishes (1988 5th in Division II, 1993 4th in Division IV, 1994 4th in Division IV, 1995 3rd in Division IV, 2000 3rd in Division IV, 2004 5th in Division IV and 2005 1st in Division IV). Not too many teams in the state of California can match that level of consistency over that period of time. The loss of the senior group from last year could prove to be too much for the Highlanders. Although they appear to return a dynamic duo (Marc Ceraldi and Jesse Baldridge), that too is still uncertain. Ceraldi was shut down midway through Track season and his return to XC is still up in the air. For anybody who has been to the Piedmont campus, there will be no doubt that whoever will make up Piedmont's top 7 this year will be very tough on hills. With Piedmont appearing to be the wild card of Division IV, St. Mary's Berkeley and Arcata now emerge as the two favorites for the NCS title. Both teams are well armed for battle this year bringing back the majority of their top runners (Arcata doesn't lose anybody). Matt Duffy and Rob Riccardi will lead St. Mary's this year after both recording top 10 finishes at last year's NCS meet. Arcata will bring a lot of depth to the meet led by senior Ian Girard. For the girls, Piedmont appears to be the favorite for the NCS crown. They return their top runner (Marki Becker) along with a very talented group that just narrowly lost last year's NCS race to a very tough, senior laden, Arcata team. The next three state meet qualifying spots will come down to a very even competition between El Molino (down from Div. III), Ursuline, St. Joseph Notre Dame, and San Rafael (also down from Div. III). Frequent state meet competitors Moreau Catholic and Arcata will be ready of any of the previously mentioned teams falter in Ukiah. 1) St. Mary's Berkeley-Duffy and Riccardi form tough duo up front. 2) Arcata-Deep, competitive team that could upset. 4) Piedmont-Can they put it together again this year? 5) Moreau Catholic-Always one of the top Division IV teams. 1) Piedmont-Deepest team returning in this Division. 2) Ursuline-Have qualified for state 3 out of the last 4 years. 3) St. Joseph Notre Dame-Damajeria Dubose (10th) leads the Pilots. 4) San Rafael-Could this be their 1st State Meet berth? 5) El Molino-Top 5 is back with hopes of Fresno. Division V will be posted on Wednesday. Feel free to comment on above rankings. What will be the most competitive Division for girls in NCS this year? Without drawing too much of an argument, Division III will once again rule as the toughest division. Looking at the state meet results of the past six years, the girls in this division have recorded two state championships (Miramonte 2003, Campolindo 2001), three 2nd. place finishes (Maria Carrillo 2004, Campolindo 2003, 2002) and two 3rd. place finishes (Miramonte 2005 and Campolindo 2000). Maria Carrillo is back in Division III this year and will have an impact on both races. Losing their lead runner (Jacqui Wentz) from last year, the MC girls will return the next 6 runners and will definitely be one of the top four teams. The battle for the top two spots is no surprise as Miramonte and Campolindo renew their rivalry. These teams have won 5 of the last 6 NCS Division III titles. Losing coach Chris Walsh should have been a tough loss for Campolindo but they quickly signed on Chuck Woolridge from College Park who will keep the red train rolling. The Acalanes boys will once again be the team to beat. According the pre-season state rankings on Dyestatcal, Acalanes is ranked 2nd in the state going into the season. Maria Carrillo and Campolindo also made the top 10 as they came in at 6th and 8th respectively. It should be interesting how quickly these two teams rebuild after losing some of their top runners from last year. The battle for the fourth and last state meet qualifying spot should come down to Bishop O'Dowd and Miramonte. 3) Campolindo-Some big shoes to fill from last year. 4) Bishop O’Dowd-In a battle to hold this spot. 5) Miramonte-Always in the hunt despite graduation losses. 1) Campolindo-Return strongest lineup to defend crown. 2) Miramonte-Will they hit the freshman lottery again? 3) Maria Carrillo-Top 2 teams will bring out the best of this group. 4) Acalanes-No Mo, no problem? 5) Bishop O’Dowd-Pappas steps in as team leader. Division IV will be posted on Monday. Feel free to comment on above rankings. As many of you may have noticed yesterday, De La Salle was not mentioned in the Division I Rankings. How could I not list the three time defending N.C.S. Champions that finished 6th place among the powerhouse SS Section teams at State? Well, the reason is they dropped down to Division II along with Mission San Jose, Hayward, Rancho Cotate, Washington and Ukiah. DLS did lose four out of their top five but don't feel sorry for them yet. Looking at their team roster from last year that numbered 72 runners (not 72 boys and girls but 72 BOYS...can you say depth? ), I have no doubt they will reload this year to be a player in this Division. It seems like a two team battle this year with two very even teams battling it out for title. In what could be described as a coin flip, the team title will come down to Petaluma and Eureka. Both teams return 6 runners from their teams last year. Sterling Lockert who finished 13th at the NCS XC race and then went on to record a 9:31.74 at the NCS Meet of Champions, as a FRESHMAN will lead Petaluma. Eureka will be strong again with Dillon Ayers and Kyle Louv returning as their teams top two runners. The Loggers are no strangers to XC success as their 1999 Team won the State Championship. On the girls’ side, Carondelet appears to be the favorite at this point of the season but Arroyo will have something to say about that. Carondelet returns their entire top 7 from last year that finished 3rd at the NCS final behind Maria Carrillo (now in Div. III) and Arroyo. Arroyo will be very strong once again this year after qualifying to the State Meet last year as well as defeat their league rival Castro Valley for the first time since 1982. And so, without further adieu, I present to you the rankings. 2) Eureka-Classic uniforms that are like no other. 3) De La Salle-Success in past puts them here. 4) Montgomery-Everybody is back from 4th place finish last year. 5) Santa Rosa-Returns 5 out of top 7..
1) Carondelet-Fast freshman to bolster title hopes? 3) Alameda-Hornets will swarm competition (couldn't resist). 4) Petaluma-Returns 4 out of top 7. Feel free to comment on the above rankings. Division III will be posted tomorrow. To spark conversation as well as perhaps motivating some runners out there, here are my pre-season rankings for the 2006 edition of the N.C.S. Cross Country Championship meet. This year’s version will be held at the famed (or soon to be famous) Ukiah Course, which hosted the last sectional championship in 2003 (as well as in 2000). Never heard or seen this course you say? Well here is the Ukiah Course for your viewing pleasure thanks to Chuck Woolridge of College…errr Campolindo High School. You can also take a look at the Top Ten list of the course from all Divisions based on the 2000 and 2003 times. Who will win those elusive golden tickets to the California State Meet this coming fall you might ask? Will this be the last year for Woodward Park as the host of the State Meet? Talk about a disaster of epic proportions. It would be a greater injustice than the C.C.S. alternating their championship meet between Crystal Springs Course and Toro Park but don’t get me started. That’s like Pebble Beach and a Miniature Golf Course alternating hosting the US Open. CCS is meant to be held at the Crystal Springs Course and the State Meet is meant to be held at Woodward Park. Hopefully the CIF can work this out with the city of Fresno and continue with Fresno as the place to be on Thanksgiving weekend. So how did I come up with the following predictions you might ask? I left no stone, well website, unturned. The rankings are based on last year's NCS XC meet and times achieved during Track season. When in doubt, I did give the edge to some teams who have done historically well in past championships. Keep in mind that these rankings were made without the knowledge of incoming freshmen (as well as transfers) that will have a greater impact on the girl's side. Although freshmen boys can make an impact with some teams like last year's Petaluma team and in the lower divisions, this is certainly not the norm. Without further adieu, here are the Division I rankings for both boys and girls. To paraphrase the immortal words of Michael Buffer, “Let’s Get Ready to Rank!” Hmmmm…not quite as catchy. 1) Castro Valley-Strong duo up front. 2) College Park-Peabody will be favorite for individual crown. 3) Livermore-Returns 4 out of top 5. 4) Deer Valley-Could be sleeper this year. 3) Livermore-Led by defending individual champion. 4) San Ramon Valley-One of best-combined programs. Feel free to comment on the above rankings. Division II will be posted tomorrow. "To give anything less than your best is to sacrifice the gift."